Local council policy targeting single-use plastic and balloons now open for public comment. Photo Credit: Luis Louise Devesa. The City of Rockingham is proposing broad new measures to tackle ocean plastic pollution. The drafted Single Use Plastic and Balloons Policy, the most extensive of its kind in Western Australia, aims to minimise the use of disposable plastics by requiring compostable or reusable alternatives for all ‘serving materials’. The policy also restricts the distribution and release of balloons, the use of plastic promotional materials at events and the provision of plastic water bottles at city functions. Rockingham is home to the Shoalwater Islands Marine Park which experiences first-hand the impact of plastic pollution on the local environment. To support the policy the council has also released an educational guideline, aptly named ‘Turn the Tide on Plastic’. A first for WA local government, the guideline provides detailed information to help residents make the switch from single-use plastics to sustainable alternatives. The ban on lightweight plastic bags introduced across WA last year, was spurred by the Western Australian Local Government Association and a stronghold of local councils pushing for consistent state-wide action on behalf of their communities. The proposed policy is significant, as similarly to the plastic-bag ban, if more councils follow suit, it could be a catalyst for higher levels of government to implement similar measures. As local councils are the closest level of government to the community, policies like this one assist in fostering consumer awareness and encourage voluntary action from businesses outside council jurisdiction. Last month Hobart City Council voted in favour of a by-law, that would see single-use plastic phased out across all takeaway outlets by 2020. While the by-law is yet to be finalised, the Hobart City Council is already urging the Tasmanian Government to follow suit. Overseas, there are countries tackling the issue of plastic pollution at a national level. Scotland announced a ban on plastic straws by the end of 2019, with plans to extend the ban to other single use items. The island of Taiwan has imposed a blanket ban on single use plastic bags, straws and cups by 2030. Flourishing Ocean’s welcomes the City of Rockingham’s new policy as a necessary first step in tackling the momentous problem of ocean plastic pollution. The proposed Single Use Plastic and Balloons Policy, and the Turn the Tide on Plastic Guideline is available for public comment on the City of Rockingham’s website until 17th April 2019. Public feedback will inform the council’s vote to implement the policy. 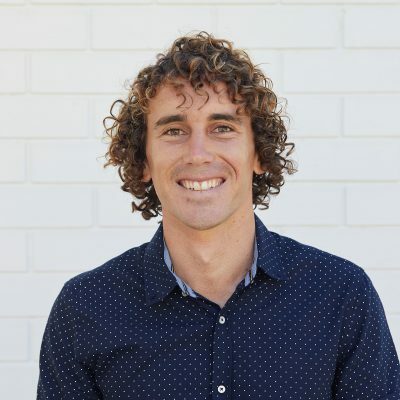 Adam has a Bachelor of Science in Marine Biology and Conservation Biology from the University of Western Australia. He is passionate about ocean conservation, and is part of the research crew of the Flourishing Oceans Initiative. He has a wealth of practical maritime knowledge which he applies when coordinating field work as a coxswain at RV Pangaea. He is also highly experienced in fish species identification, ocean data collection and analysis.